The access road to the Amaila Falls hydropower dam in Guyana’s forest is already under construction. The project is one of those listed in President Bharrat Jagdeo’s Low Carbon Development Strategy. Potential financiers of the hydropower project include the China Development Bank, the China Railway First Group, the InterAmerican Development Bank and the Norwegian Government. These notes, written by John Palmer and Janette Bulkan, are posted here to alert potential financiers of the Amaila Falls dam to the risks of the project. The notes are posted in full below and can be downloaded here (pdf file 127.9 KB). In Guyana, South America, the second version of the REDD Readiness Preparation Proposal (R-PP, April 2010) and the third draft of the President’s Low Carbon Development Strategy (LCDS, May 2010) support global moves to reduce carbon emissions from deforestation and forest degradation. But neither document records any explicit commitment by the Government of Guyana to reduce or even stabilise emissions in-country. Norway has agreed in principle to pay Guyana up to USD 43 million annually for five years to 2015 if the verified deforestation rate does not exceed an arbitrary and interim 0.45 per cent, compared with an actual rate which has been estimated at between 0.06 and 0.29 per cent. There are conditionalities (‘enablers’) attached to this grant, but Guyana can spend the Norwegian money on any aspect of the President’s LCDS. Most of the projects listed briefly in the LCDS will benefit the 90 per cent of the population living in the coastal plain, which was never forested and is far from the hinterland forests and most of the indigenous people who comprise ~9.2 per cent of the population of 770,000. One LCDS project is located in the hinterland and will affect the indigenous Amerindians: the Amaila Falls hydropower dam with a first phase of 154 MW. The President is presently intending to spend up to USD 60 million of Norwegian REDD-plus money on purchase of equity in the dam. The bulk of the finance is anticipated from loans from the China Development Bank and the China Railway First Group, a total of USD 500 million. The InterAmerican Development Bank (IDB) may provide some of the balance of USD 100-150 million. As part of its due diligence requirements, the IDB has required a revision of the EIA which covered in 2002 a 100 MW dam. IDB scrutiny will also cover the already-started access road to the dam site, that road being funded by the government-owned National Industrial and Commercial Investment Ltd., a corporate vehicle notorious for breaking the law by having no annual audited accounts. The normal practice of the IDB is to have an advisory expert panel (AEP) in place to help selection of the ESIA (environment and social impact assessment) team, among other due diligence activities following best practice. In this case of the Amaila Falls dam, the ESIA team to revise and extend the 2002 report has already been in the field, before the AEP has been convened. However, the AEP could check for gaps and inconsistencies in the various documents related to Amaila Falls. The President of Guyana intends a significant proportion of the Norwegian REDD-plus payments to be spent on Amaila Falls. The following notes may be helpful in drawing attention to some of the gaps and inconsistencies visible in the public domain documents. Lack of response by Government to questions in the local Press as to the value of this dam compared with reducing losses in existing power generation. Lack of commitment to a low-carbon economy in the national energy policy. Lack of free, prior and informed consent in the May 2010 consultation with some of the potentially affected communities of indigenous peoples (Amerindians), contrary to the explicit commitment in the President’s Low Carbon Development Strategy (LCDS 2010:16 and 73). Lack of significant progress in dealing with the outstanding conceptual issues in the settlement of Amerindian land claims. Failure of the EIAs to consider impact of impeded/changed river flows on the use by Amerindians of riverine resources and on biodiversity, such as turtles. Compared with the rest of South America, Guyana has the lowest or nearly the lowest electric power per capita, and the least reliable and most expensive power tariffs. Almost 100 per cent of power is presently generated from diesel or bunker fuel thermoelectric sources, mostly antiquated and poorly maintained. Total generating capacity is ~226 MW, of which 99 MW is believed to be operational; see Wikipedia: Electricity sector in Guyana. About half the present capacity is provided by privately-owned off-grid back-up generators which were installed because of the acute unreliability of the national grid supply. The President of Guyana claimed that the Amaila Falls hydro power will lower the cost to consumers from USD 0.22-0.25/kWh by 40 per cent (Guyana Chronicle, 25 May 2010) to the Latin American regional average of USD 0.15/kWh. The Government of Guyana does not appear to have provided any comparative study of the economic benefits of building the Amaila Falls dam compared with reducing the distributional (technical) losses of the generated power and/or of commercial losses in the coastland electrical grid. The following three items are intentions of the government-owned Guyana Power & Light, and at least some funding is committed in the national budget 2011 (sections 4.56 and 4.57, pages 33 and 34, Budget 2011). better maintenance of the diesel generators of the State-owned Guyana Power & Light (GPL), which have low reliability for the installed 99 MW capacity, leading to a further off-grid, privately-owned power generation of 127 MW at relatively great expense and with often small and technically inefficient generators. The high cost and low reliability of the public electricity supply is a perennial source of discontent among coastlanders, and Ministerial statements about the electricity supply vary greatly when quoting numbers. stopping the 29 per cent commercial losses of generated electricity (11 per cent through theft by illegal connections, 11 per cent through defective meters and 7 per cent through corruption and inefficiency in the billing system). The hydropower potential of Guyana, with its giant waterfalls, has been noted for decades. The distance between the falls and the 95 per cent coastland economy has been one of the deterrents to making use of falling water. 67 potential dam sites were identified in the 1970s. The Government began in the mid-1970s an access road towards the Upper Mazaruni site with possibly the greatest power potential. The Government failed to secure international finance for this project because of political opposition from Venezuela which revives from time to time a long-standing claim to 1/3 of the area of Guyana, the land west of the Essequibo River which includes most of the hydro potential. The then National Energy Policy Committee developed the policy which was endorsed by Cabinet in July 1994; this document is no longer available. The Guyana Natural Resources Agency (GNRA) listed 6 sites in August 1995 and preferred Amaila Falls for the first construction, reckoning on 195 MW power production. The GNRA list was quoted in section I.C.2 of chapter 39 in the National Development Strategy. The Guyana Energy Agency (GEA) was created in 1997 by Act of the National Assembly (but does not seem to have been active). A 2008 powerpoint presentation by the GEA summarises the power sector at that time (Sharma 2008). A 2007 powerpoint presentation by the GEA summarises the power sector at that time. The Government and GPL appear to have no commitment to updating the 1996 national energy strategy or chapter 39 (The Energy Sector, 03 April 1996) of the National Development Strategy and chapter 7 of the revised NDS 2000 (Government of Guyana 1996/2000). The GPL’s system development plan (2000) and the development and expansion programme (2007-2011) may provide justification for the Amaila Falls dam but neither document is in the public domain electronically. controls on the imports of heavy-emitting luxury vehicles. replacement of poorly-maintained minibuses with low-emission standard buses. provision of bio-fuels for vehicles, not even the E-10 ethanol used in the USA. fiscal incentives to reduce consumption of petroleum products. less use of cement and concrete in the construction boom fuelled by money laundering of drug profits. less use of electric and diesel pumps for land drainage on the coastal plain when canals are cleaned of weed and de-silted, and when gravity drainage is then more possible. incentives beyond the single bagasse biomass generator (10 MW) linked to the Skeldon Sugar Modernization Project. Skeldon was built by China National Technology Import and Export Corporation and is operated by the government-owned GUYSUCO. The bagasse co-generator, costing about USD 59 million, is the only CDM project in Guyana. There is a short description of a 100 MW dam for Amaila Falls on the website of Synergy Holdings Inc. which secured a development licence in the 1990s but apparently sold on that licence to Sithe Global Power LLC in 2006. The most accessible comprehensive document is the April 2002 EIA report of 199 pages prepared by Ground Structures Engineering Consultants Inc. for Synergy and Harza International Development Company LLC (which at that time seemed most likely to be the actual dam builder). Synergy had been in discussion with Amerindian communities during 1999-2001. The following (downstream) communities are mentioned: Campbelltown, El Paso, Madhia, Maicobie (usually known as Micobie), Princeville, Tumatumari and Tumatumari Landing (pages 43+). Page 80 acknowledges that ‘The Kuribrong/Amaila areas are regarded as traditional Amerindian lands. Residents in all the communities surveyed indicated that about 17 per cent of them fish, hunt or mine in the Amaila or Kuribrong River areas…’. Discussions with two Amerindian representative organizations (APA and GOIP) are mentioned on pages 128-132. This 2002 document is accessible on the EPA website. An ESIA addendum of June 2008 by the same consultants was posted for the transmission line alignment on 01 April 2010. This second document mentions only the Kaburi community which would be close to the access road and transmission line (page 88). ‘the results of these consultations were incorporated into the Project ESS Report. No significant adverse impacts of the project on physical or food security, lands, territories, resources, society, rights, the traditional economy, way of life and identity or cultural integrity of indigenous peoples have been identified’. Given the nature of Amerindian society, it does not seem possible to arrive validly at such a conclusion from a survey only in one month in 2010. That May 2010 process should be contrasted with the more culturally appropriate repeated contacts with Amerindians apparently sustained by Synergy during 1999-2001. It would not be unreasonable to say that this community stakeholder engagement (2010) plan has been developed without reference to the cultural norms of the Guyana hinterland. The Project ESS Report is not in the public domain. Of the communities mentioned above, only Kopinang, Chenapou and St.Cuthbert’s Mission are mentioned in the 1969 report of the Amerindian Lands Commission (ALC). Kopinang (ALC page 121) and Kanapang (ALC page 113) were two communities which submitted joint land claims with other communities to the ALC. The ALC reduced the area of the claim. It is not clear how the actual titling differs from what was claimed and what was recommended by the ALC. Appendix V of the May 2010 LCDS records Kopinang as both titled and demarcated but Kanapang as titled and ‘demarcation applied for’. This suggests that the joint land claim of 1967-9 is still in contention, because what appears to have been granted as titled Amerindian Village Lands does not conform to the intention of Annex C, Section L, of the 1965 independence agreement, quoted in Letwiniuk 1996:51. Chenapou did not make a land claim to the ALC but an area was recommended for that community by the ALC (ALC page 125). The claim by St.Cuthbert’s Mission was amended by the ALC because of the inclusion of wood cutting grants (leases, ALC page 192). The other Amerindians communities mentioned above were not recorded by the ALC during 1967-9. They may not have existed at that time, having become established in response to the increased mining in the Madhia-Potaro area, or they may have been geographically inaccessible to the ALC. They do not therefore have recorded traditional usufruct in the sense of the independence agreement of 1965 (Letwiniuk 1996:51). The government of Guyana will establish a reserve area along the transmission line right-of-way and road corridor called the Reserve Right of Way (RROW). The RROW will restrict all activities, including mining, forestry, agriculture, commercial, and residential land-use, within a 200m area to either side of the corridor center line. This reserve will run from 81-mile on Bartica Potaro road to the powerhouse downstream from Amaila Falls. The legal basis for the creation of a natural reserve is documented within existing legislation of the Mining Act (Mining Act 65:01 Section 82)1 which is the basis for action of the Guyana Geology and Mines Commission (GGMC). This legislation restricts mining operation activities within 200m of public works. The Guyana Forestry Commission [GFC] will, within one year, establish within the Code of Practice a similar 200m restriction on forestry activities; the Code of Practice will become a legal requirement for forestry activities when the new Forests Act is assented to in 2011. The RROW will require the excising of all existing mineral and timber concessions within the RROW. In addition, the reserve will restrict the government of Guyana from granting new forestry and mining concessions in the RROW. GFC and GGMC will share primary responsibility for ensuring enforcement of requirements related to any existing concessions as well as the protection and enforcement of the RROW. GFC and GGMC will separately develop and implement a monitoring and enforcement program to enforce the RROW. They will be monitoring land use change, monitoring change of forest/vegetation cover, and monitoring for the presence of residential or commercial settlements. The GFC will undertake weekly road patrols from existing bases within the IFI and Caribbean Resources Limited (CRL) concessions; these ground patrols will cover the access road to detect any illegal activities. During road and AFHP construction, the Environmental Protection Agency (EPA), Guyana Geology and Mines Commission, AFHI and the Contractor will also undertake regular inspection patrols, frequency to be determined, along the access road. In addition to standard monitoring measures GFC will be able to utilize the MRV satellite system related to the LCDS. The GFC is in the process of establishing a satellite based monitoring mechanism to determine rates of forest loss. A baseline has been established during 2009 which will allow the detection of additional roads or forest clearance in pixels of 30m by 30m. The GFC will use this system to detect changes along the AFHP access road and in the broader area. So there would be a biodiversity conservation reserve over an area just stripped clean of forest. Even for Guyana this is a remarkable lack of intra-government coordination. The Caribbean Resources Ltd. logging concession has recently been transferred to Dark Forest Company (S) Pte. Ltd., a hitherto unknown company said to be based in India. This transfer is contrary to national policy on logging concessions and may also be illegal. The contents of all these EIA documents appear to refer only to the first phase of the Amaila Falls dam (100-154 MW), not to phase 2 of 410 MW or phase 3 of 1060 MW. The reservoir areas of phases 2 and 3 would be much larger than for phase 1 and would have significantly greater human impact, including loss of most of the farmland of the indigenous Akawaio nation in phase 3. The 2002 EIA report referenced above mentions that the normal seasonal changes in downstream river water levels would be affected by the Amaila Falls dam. Less water would be in the rivers during the wet season and more water would be released in the dry season. Wildlife populations whose life cycles are geared to the seasonal rise and fall of water may be affected, but this is not considered in the EIA. Notably, turtles which lay their eggs in sandbanks revealed at periods of low water may no longer find such nesting beaches, and fish which spawn below the reduced flows of rapids in the dry season may no longer find a reduced flow. There is a large volume of material in the independent Press in Guyana on the process used by the Government to contract an apparently unqualified and inexperienced enterprise (Synergy Holdings Inc.) to build the access road. The Government of Guyana refuses to disclose how Synergy was found to be eligible to bid for this contract, or what due diligence checks were made by the National Industrial and Commercial Investment Ltd., the government-owned corporate vehicle which actually issued the contract. IDB is involved in the access road only because it agreed to review the EIAs and the financial viability of the project for the Government. Amerindian Lands Commission (1969.) “Report of the Amerindian Lands Commission.” Georgetown, Guyana; Amerindian Lands Commission. Pp.236 plus appendix XI. Letwiniuk, Tara (1996.) “The Amerindian Act of Guyana: discussion and suggested revisions.” Toronto, Canada; Canadian Lawyers Association for International Human Rights. Especially pages 48-52. Sharma, Mahender (2008) “Guyana’s energy situation.” Powerpoint presentation, 21 slides. Janette Bulkan and John Palmer are two peas in the same PoliticalPod. Janette is an unpatriotic Guyanese, while John Palmer is low profile englishman. Both failed their Forest management plan for forest utilisation in the Waini river, North West District of guyana that is why they are so disgrunted about Guyana’s LCDs and the government of guyana, but if Janette is such a forest expert why is she not giving her expertise for the resusitation of her family’s furniture business in guyana? Is she an enviromental hippocrite which caused her dismissal from the World Bank’s FCPF? Now poor Janette is working against the Amaila Falls Hydro Power Project so that it does not receive funding. but Janette will fail and fail miserably in her unpatriotic schmes against the ccountry of her birth. Further I am appealing to her to stop speaking for Guyana’s Indigenous Peoples. @peter (#2) – thanks for this comment, but did you manage to read beyond the names of the authors of this note? I’m just asking because your comments are about the authors and not about the note itself. Thanks Chris, I have a very busy schedule, but I will soon deal with the distored and misleading notes on Guyana’s Amaila Falls hydro project by Janet Bulkan and john palmer. While I do not contend with loosers and prophets of doom, I think it is fair to present reliable information for those who visit your website. (1)The construction of the Amaila falls Hydropower plant in Guyana is a vital investment of Guyana’s LCDS which will provide clean, reliable affordable and plentiful energy supply for Guyana’s Development. It will contribute to the reduction of carbon Emissions into the atmosphere and will therefore play an important role in the fight against Global climate change and its cstastrophic consequences. It this a crime Bulkan and Palmer? (2)The government of Guyana awarded Synergy Holdings Inc to construct the amalia Falls access road based on its expertise in road construction. The Government of Guyana is using its own funds for the construction of the access road and will not award a carpenter to build the said road.If Bulkhan and Palmer wanted the contract to build the amaila Falls access road then they should have applied instead of writing pure balderdash. But it is said that if the fox can’t get the grapes it is deemed sour by that fox. (3) Meetings were held with Amerindian communities and so far no Amerindian community is against the Amaila Falls Hydroproject and the construction of the access road. a Biodiversity survey is currently in progress directed by the IDB. If the IDB funds any project it is known that its social and environmental standards will have to be complied with.But the Free , Prior and informed concent principle (FPIC)is a non – issue so far. (4) What settlement of Amerindian Land claims is Bulkan and Palmer talking about? In Guyana there are 96 titiled villages.11 communities are still to receive titles. However 6 have submitted their applications according to the provisions of the amerindian Act 2006. There are about 20 Amerindian settlements which will be given their titles once they attained community status according to the provisions of the Amerindian Act 2006.It is an indisputable fact that the Government of guyana is committed to the land Rights of Guyana’s Indigenous peoples. (1) You state that the Amaila Falls Hydropower plant is a “vital investment” of the LCDS and will “contribute to the reduction of carbon Emissions into the atmosphere”. Could you please explain how you arrive at that conclusion? I’d be grateful if you could provide the calculations on which your statement is based. Considering that the project has been in the pipeline for many years, could you please explain how the construction of the dam can be considered to be additional? What is the anticipated life span of the dam? What will happen when the dam has to be decommissioned? (2) I’m interested in your claim about Synergy Holding Inc’s “expertise in road construction”. There is no mention of road-building on the company’s website: http://synergyholdings.net. Perhaps you could provide a list of the road construction projects that Synergy Holdings Inc has carried out in the past, in order to back up your claim about the company’s expertise. Your comment about free, prior and informed consent is interesting (see point 4, below). Could you please provide some documentary evidence for your claim that “so far no Amerindian community is against the Amaila Falls Hydroproject and the construction of the access road.” How do you know this to be true? Do you agree with Palmer and Bulkan that the Project ESS Report is not publicly available? Do you think that in the interests of transparency this documents should be made available? (4) Your comments about free, prior and informed consent and Amerindian Land Claims are interesting. An uninformed observer might take these comments to be those of a spokesperson for the government rather than an advocate for indigenous peoples’ rights in Guyana. Amerindian leaders from Regions 7 and 8 have recently voiced their unease about pressure being put on National Toshaos Council (NTC) members to sign a rushed public resolution in support of the government’s Low Carbon Development Strategy (LCDS). These leaders say that they are not willing to sign support statements for the LCDS when they and their community members still do not understand the implications of the plan for their lands, forests, livelihoods and way of life. Some leaders walked out of the conference, while others refused to sign the controversial document. Some leaders did sign, but later expressed concern that they had felt pressured to endorse the NTC resolution. The whole experience has raised further questions about the risk of “engineered consent” in Guyana and the government’s use of FPIC to suit their own standards. It has also highlighted further the need to establish robust mechanisms to meet Guyana’s commitment to respect indigenous peoples’ right to free, prior and informed consent (FPIC). (1)The earth’s surface has been warning rapidly over the last century compared with thousand of years before.This is due to the amount of carbon dioxide that has been emitted into the air from the use of petroleum fuels in industry, transportation our homes etc. The Amaila falls Hydro power Plant when completed will use river water to generate clean energy for the needs of our country without endangering the climate with carbon Emissions into the atmosphere. Petroleum fuels are both expensive and carbon intensive.Any school child will understand this. The calculations will follow later Chris. (2) The government of Guyana will not award a Fishing company to construct the amaila Falls access road, but the company that has the expertise in road construction. The access road is currently under construction by Synergy Holdings Inc. The access road even it is behind schedule is an unqualified generalisation to say that synergy is faulty. (3) The Amerindian Village residents of Kaburi are experts on their Flora and fauna and have given their consent for the construction of the Amaila Falls access road. Do an on the ground check to determine accuracy of this claim. It is much better than documentary evidence or reports. and the Government of guyana is committed to the Land Rights of its Indigenous Peoples. I am correct and honest here and if i say so does this makes me a spokesman for the government? The NTC conference resolution in support of Guyana’s LCDS was not rushed as erronously claimed by the Forest Peoples programme. Toshaos (Village Chiefs) were given adequate time to study the document. Over 100 toshaos supported the NTC’s resolution. The few Toshaos from Regions 7&8 who did not support the resolution had their own Political Agenda using the FPIC principle as an excuse. They were instructed to do so by their Political bosses. @peter (#7) – I’m afraid you didn’t answer any of the questions. I’ll try again. (1) Yes, climate change is happening and it is due to burning fossil fuels. However, I did not ask you about the causes of climate change. My question concerns your statement that the Amaila Falls hydropower dam will “contribute to the reduction of carbon Emissions into the atmosphere.” In order to prove this, you have to compare construction of the dam with something else. I would like to know to what counterfactual story you are comparing it (i.e. what would happen if the dam were not built). Can you prove that energy efficiency measures (for example) if implemented in Guyana would not reduce more greenhouse gas emissions into the atmosphere? You also need to prove that the dam is “additional” – i.e. that it would not have been built anyway, without the LCDS. That will be an interesting challenge considering how long the dam has been under development. Your calculations (or presumably those of the Guyanese government) should take into account (among other things) the emissions released by clearing forest to make way for the road, dam and reservoir, the emissions associated with the construction of the dam, the release of greenhouse gases from the reservoir behind the dam and what will happen when the dam is decommissioned. (2) My question asked you for a list of the road construction projects that Synergy Holdings Inc has carried out in the past, in order that you could back up your claim about the company’s expertise road construction. Whilst you amusingly pointed out that Synergy Holdings Inc is not a fishing company, you failed to provide a list of the road projects carried out by Synergy Holdings Inc.
(3) I am sure that the Amerindians are experts on their flora and fauna. However, you make the claim that “so far no Amerindian community is against the Amaila Falls Hydroproject and the construction of the access road.” I asked you to provide evidence for this claim. You have failed to do so. You ignored my question about whether it is a little late to be carrying out a biodiversity survey given that the road is already 15% completed. Isn’t the point of the biodiversity survey to attempt to minimise the impact on biodiversity (by, for example, re-routing the road to avoid biological “hot-spots”)? And you ignored the following questions: Do you agree with Palmer and Bulkan that the Project ESS Report is not publicly available? Do you think that in the interests of transparency this document should be made available? It seems to me that there is considerable evidence that indigenous peoples’ rights are at risk in Guyana. This document, by Palmer and Bulkan, “The insecure tenure of Amerindians in Guyana,” summarises the problems and puts them in a historical context. Proffessionally Audit the due dilligence through to the Operational works sign offs , of each contrustruction of roads and dams and all construction. Monitor and evaluate the on going actions of the developments Hydro-plant and enviromentally audit those ongoing actions ,thyis will surely make transparent and leave a level playing field. Create a trading unit from the forests for each tonne of emmissions exposed and made by Synergy and its contractors , then give the money to the Amerindian’s to manage their bio-diversity. “Janette will fail and fail miserably in her unpatriotic schmes against the ccountry of her birth” – we know better, you’ve saved the nation untold disasters and patriotism is still the last bastion of scoundrels. two toshao friends of mine went to the National Toshao Conference and it’s sickening to hear their stories of the threats veiled and otherwise if they didn’t sign the document shoved in front of them on that last day. excuse me for saying it again but you’re a true warrior princess of this great land of ours. and though you don’t have a front organisation you still represent us and for that we say thank you and we love you. Chris, Thanks for saying that I failed to answer your questions, but this is usual with persons who are waging a vendeka against Guyana’s LCDS. They have a difficulty in accepting the truth where 166 out of 171 Toshaos or Amerindian Village chiefs publicly supported Guyan’s REDD+ initative. The other 5 Toshaos were free to support or not to support Guyana’s Forest Protection Programme. The Government of Guyana (GOG) is always committed to the Land Rights of Indigenous Peoples and will shortly be addressing the granting of Land Titles to the 11 remaining Amerindian communities according to the provosions of the Amerindian Act 2006, including Land extensions and land Demarcations. Guyana’s Indidenous population is about 9.1 percent of the National population and legally owns about 14 per cent of guyana’s national territory, up from 6% in the early 1990s’ so the notes by Bulkan & Palmer in relation to amerindian Land claims are non – issuses in the absolute. This is what the world needs to know, but the problem with Bulkan & Palmer is that they are disgruntled and are digging up trash to discredit Guyana’s LCDS. Chris, as was recently reported the Amaila Falls access road is now 20 percent complete but presently the set back is the late arrival of equiptment and the rainy weather. To date no Amerindian community has voiced their opposition to the access road and in fact one Amerindian Community even expressed their wish that the access road pass through their community. As experts on their ecosystems it is the Amerindian communities who have to say if the access road ia a threat to their traditional livlihoods. Not you, not Bulkan & Palmer and the other critics who have absolutely nothing to contribute to Guyana’s Development but the spewing of trash and untruths to mislead the world. I do not think synergy has magical or divine powers not to fell trees during the construction of the access road, and most obviously there will be carbon emissions when there is forest clearance. How illogical you people are in your sordid schemes to demonise Guyana’s partnership with Norway to combat Global Climate change.The Amaila Falls Hydro Project is part of guyana’s LCDS by replacing fuel / oil Electricity generating plants and will so contribute to the reduction of carbon emissions. The project foot print on the Rainforest will be less than .001% of the state forest area and Guyana’s EPA working in partnership with the IDB will ensure that its development meets both, Nationally and International social and enviormental safe guard bench marks. the IDB knows its work so Bulkan & Palmer do not have to tell the IDB how to do its work. But the Amaila Hydro power project is an opportunity for Guyana to secure its electricity supply is plentiful, reliable and affordable and allows Guyana to rely on its own natural resources for its energy supply. The power of its rivers. The project will also offer opportunities for direct and indirect employment for the Guyanese people and is committed to minimizing any adverse social or enviromental impacts, mindful of respecting Indigenous communitities and the region’s Biodiversity. The project is committed to a long term relationship with the people of guyana and support their prosperity. Chris, what do you . Bulkan & Palmer and the other critics of Guyana’s LCDS have to offer Guyana to promote its Development? Nothing but absolute trash. @peter persaud (#11) – Thanks for your comment. I think you have adequately explained your position on supporting indigenous peoples’ rights. (1) Please provide the calculations to back up your claim that the Amaila Falls Hydropower plant will “contribute to the reduction of carbon emissions”. What would happen if the dam were not built (i.e. what is your counterfactual story against which you are comparing the construction of the dam)? Provide proof that the project is additional. What is the anticipated life span of the dam? What will happen when the dam is decommissioned? 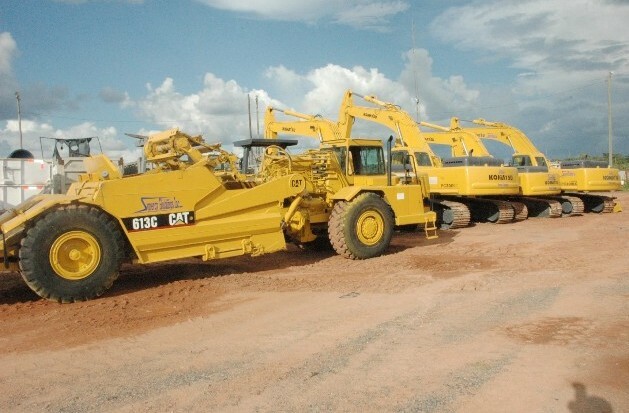 (2) Please provide a list of the road construction projects that Synergy Holdings Inc has carried out in the past. Isn’t it a little late to be carrying out a biodiversity survey given that the road is now 20% completed? Do you agree with Palmer and Bulkan that the Project ESS Report is not publicly available? Do you think that in the interests of transparency this document should be made available? I would be grateful if you could answer these questions. Chris, Nelly Avila in response to my just claims about the Amaila Falls Hydro Project and the government of Guyana’s committment to the land rights of its indigenous peoples raised good questions about my Indigenous Legitimacy which definitely i would have loved to answer, but sadly i am constrained to do so, since ‘Nelly Avila’ is a bogus, false or fictitious name and any person using a fictitious name tends to be both dishonest and irresponsible where his/her actions are concerned. My advise therefore to “Nelly Avila” is to reveal his/her true identity so as to achieve credibility. In this connection my response to ‘Nelly Avila’ Questions will not be meaningful to him/her but i wish to take “Nelly Avila” to two remote Hinterland Amerindian Villages in North Western Guyana where i grew up and where i received my primary education which i cherish and most importantly where villagers can give attestation to my Indigenous Legitimacy and attachment. I am awaiting patiently for “Nelly Avila” acknowledgement of my invitation and I have already informed the boatman.’Nelly Avila’ accused me of being a Spokesman/Expert for the Government of Guyana just because I am being quite honest about the Government’s positive stewardship to Guyana’s Indigenous Peoples. Thanks anyway for the elvation, but while i am neither of these I am capable enough to determine what is true, false or misleading. Also i have the Human Right to be different which is recognised or inherent in the Undeclaration on the rights of Indigenous Peoples. But while ‘Nelly Avila’ is free to express his/her political Opinions in Guyana and to engage in political activities, he/she at the same time needs to be honest, responsible and not misleading to the uniformed. But unfortunately some members of the political opposition in Guyana see their chances of garnering votes through the spewing of Lies to Guyana’s Electorate.They are very frustrated and worst of all in total disarray. Chris, I haven’t forgot your questions. comedy central. need i say more? i did not come to this site for a date, so peter persaud, thanks but no thanks as for your “Indigenous Legitimacy and attachment” maybe you should rephrase that to read illegitimacy in the eyes of the public and your surgical attachment to the govt of Guyana and ruling party. you’re one of their hired guns. as we can see by the ongoing fascination with personalities over issues? Rafael Herz, Sithe’s designated Project Manager said the estimated cost of the dam, powerhouse, transmission line and substations was US$650 million (including an estimated US$190 million for the transmission line and other supporting infrastructure). Two days later the government disputed the number, placing the figure at $495 million inclusive of the transmission line. And if we go back one year ago, the President had announced that “final studies” on the project would have been completed in August 2009 and that the bid for the project was US$600M. The final studies have clearly not been done, or costs determined. When one considers the tremendous cost involved in building the Amaila Falls Hydroelectric Project estimated by developer Sithe Global Power LLC to be US$650 million; the US$15.4 million given to Fip Motilall for the construction of the access road; the US$47.5 million for new power plants at GPL in preparation for the hydro project; the continuous cost of importing diesel to fuel the GLP generators; and the anticipated cost overruns which you know will happen, the Guyanese consumers may pay a big price for the Administration’s folly. Herz pronounced that the price tag remains between US$650 and US$700M but could be revised either upwards or downwards in the future. He said that the actual hydropower plant to be built is estimated to cost just about $315M with the remaining costs primarily in the transmission line and the access road among other expenditures. Herz said that over time things change, such as exchange rates – in particular the Chinese Yen against the US dollar – and the cost of materials. The Senior Vice President did promise that the company will keep the media apprised of any such changes that could affect the overall cost of the project. for those not familiar with Guyana pause and think. if you’re about to borrow hundred of millions of dollars to build something that will not generate cash for many many many years to come, could you afford to be off by a couple hundred million more? Peter Persaud is a mouth piece for the Government. One only need to read one post in one blog by these cyber sycophants and they will be able to recognize any comment from those sources automatically. Why, because they are monotonously bland, vacuous, mendacious, and of course insipid. The real test comes when they encounter someone with technical know how like Chris Lang, and they begin to ask probing questions. The response to this is usually confused, circumlocutory, and of course absolutely irrlelvant. The indigenous peoples of Guyana are being held to ransome by the Regime which need their votes to put them over the top in elections. They have thus assembled a cadre of “indigenous spokespersons” like PP, who are paid well to run interference when a torchlight is shined on any of the multitudinous corrupt transactions the regime engages in. Ruel Daniels accuses me for being a spokesman for the Government of Guyana.Mr daniels seems to be one of those persons who cannot see beyond their nose and like cockroaches they appear at night to cover their filth.If writing about the truth that the government of Guyana respects the Land rights og guyana’s Indigenous Peoples and more particularly will protect their rights under the LCDS make me a spokesman for the GOG then quite frankly let I be. The truth however is that Mr daniels is working against the GOG and will never accept the good things the GOG are doing for its Indigenous peoples and so he continoues to bury his head in the sand. But that is his place. I do find the questions that Chris ask very important ones. We do need to take the issues of dam construction very seriously indeed, especially when it comes to it’s impact on the environment and to indigenous communities. Also what are the alternativee? Just a thought – maybe consumers on the coast could have been offered solar panels/wind generators. One of my great concerns is about our indigenous peoples. I am Lokono myself. An ESIA is extremely important. The local communities should have a complete copy for their record and information. Is there a way to find out if the communities have one? Please, let us not take the future of our forest and forest communities lightly. It is not Ruel Daniels who has proclaimed that billions od dollars cannot be accounted for from the national treasury. It is the Auditor General. It is not Ruel Daniels who list Guyana as the most corrupt nation in the commonwealth caribbean and one of the worse in the world, it is tranceparency international. So like Peter Palaver you can continue to adlib your cacaphony of mendacities and misrepresentations in order to mask the truth about the sticky fingered predispostions of those who are building mansions for themselves in Pradoville, while the poor struggling to eke out an existence under the burden of a 16% Value Added Tax. It is not Ruel Daniels who revoked the Visas of officials of the Government. It is the US, the UK and Canada.